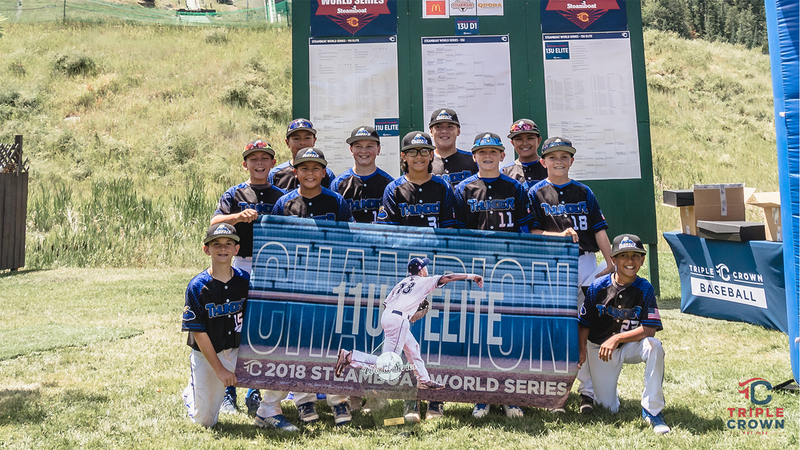 The 11u Elite Chino Hills Thunder gave its fans a scare in its first game of the 2018 Triple Crown World Series, sliding by Dallas Tigers-Bazzell by one run, 5-4. Since then, it’s been smooth sailing for head coach Rene Lopez and his boys. 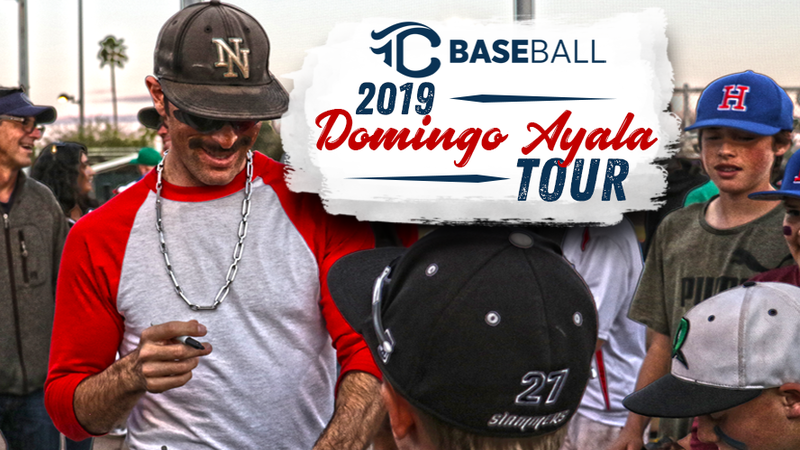 No other team crept within four runs, including Chino’s 11-1 championship-capturing contest Sunday against Santa Clarita Clutch. Starting pitcher Jerry Mendoza began his day with confidence, forcing a quick fly out to start the game. Two batters later, Trajveer Brar sent one right back off Mendoza’s leg, redirecting to first base for the second out of the inning. Mendoza would take a couple of moments to gather himself and elected to stay in the contest. If Mendoza’s confidence was going to waver after an understandably nerve-rattling moment, it was going to come in the next at-bat when Clutch lined one toward the pitcher once more. The undeterred 11-year old stood tall, though, ending the inning with his second assist of the inning, this one a little more conventional. The Thunder looked to continue its hot offensive streak heading into the bottom of the first inning. Chase Davidson led off with a single, stole second and third and came scampering home on a Clutch throwing error putting Chino Hills up 1-0 in a hurry. Jacob Arreguin didn’t need that kind of speed when he got to the plate. The clean-up hitter hammered an impressive opposite-field shot over the right field fence, scoring two more runs for the home side. Chino scored a fourth run in the first inning thanks to Justin Lopez’s RBI-single. The Thunder were in complete command as Mendoza headed back the hill. For the second consecutive inning, Santa Clarita could not figure out the right-hander. On the day, Mendoza would finish with four innings pitched, gave up just six hits and one run, while letting his defense do most of the work. After adding a fifth run in the second inning and Mendoza dealing, Chino looked to break the game open in the bottom of the third. Arreguin sparked the Thunder’s second multi-run inning with a double. In fact, the first nine batters of the frame would at least reach first base. Scoring five more runs, the Chino raced out to a daunting 10-0 lead. 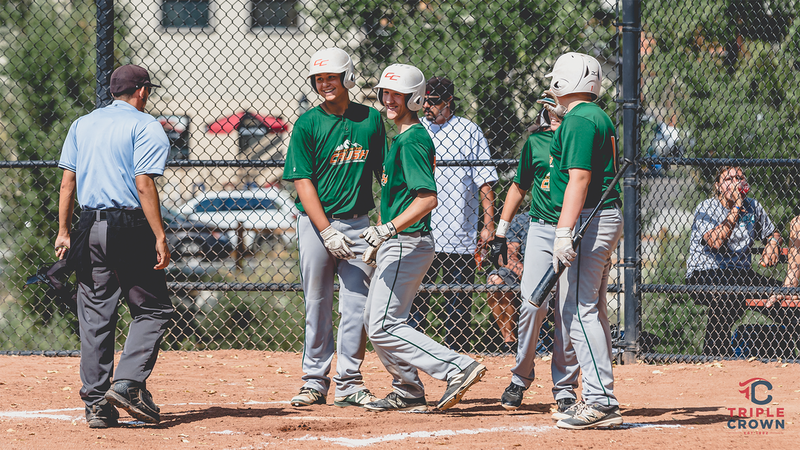 Brady Stull, Justin Lopez and Jerry Mendoza all came up with run-scoring hits in the big frame. Santa Clarita ended its scoring drought in the bottom of the fourth inning to make it 10-1. 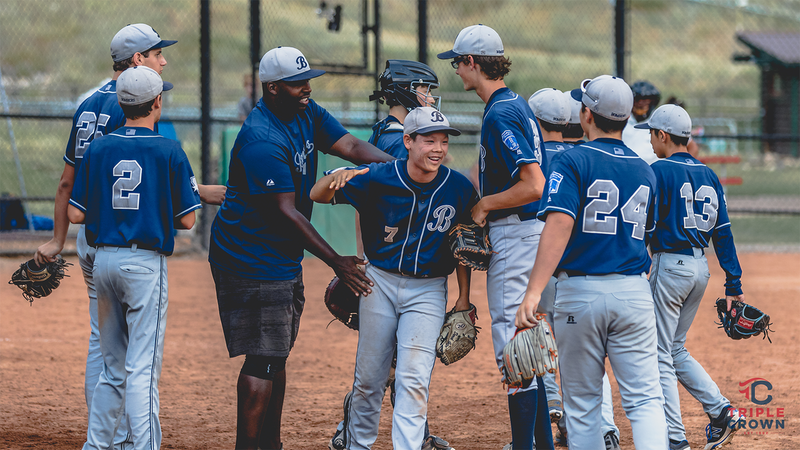 Chino Hills needed just a single tally in the bottom end to claim the 11u Elite crown. Fittingly, with the bases loaded it was Mendoza who walked the plate. Already with two hits and two RBI on the afternoon, Mendoza completed a perfect outing, lining the first pitch he saw up the middle to score Joshua Springer, sealing the win, 11-1. 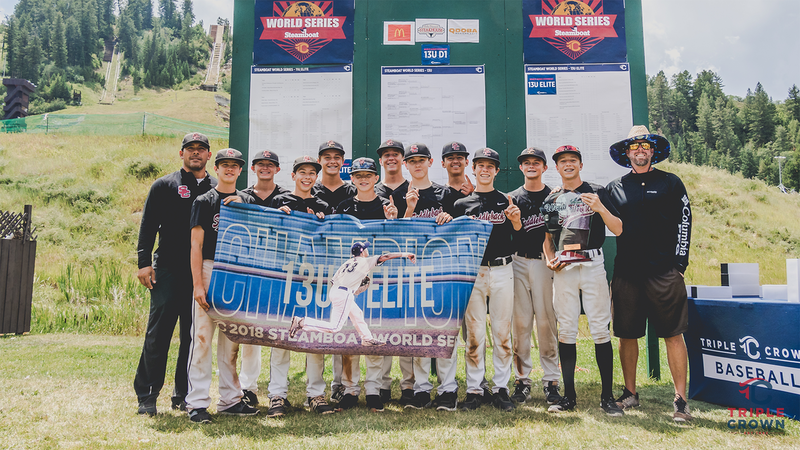 Chino Hills didn’t need much time to acclimate to the mountain conditions in Steamboat Springs, CO, completing a perfect 7-0 run to the 11u Elite title. Taking down a fellow Southern Californian squad made it even that much better for the Thunder. 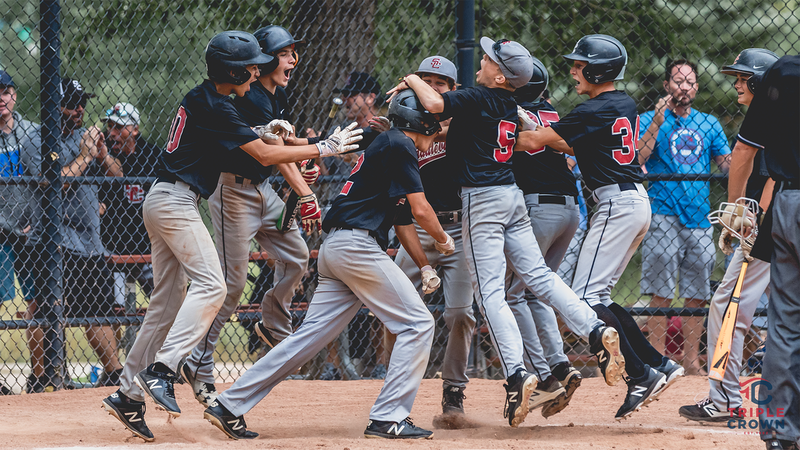 For the Cascade Crush Orange (WA), the 13u Elite World Series has reached the all-or-nothing juncture, where the next loss will send the team out of the loser's bracket and on their way home. 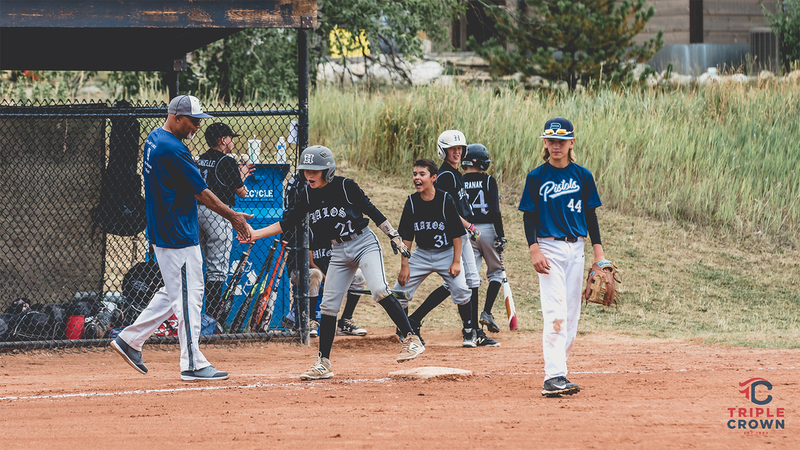 As it turned out Friday in Steamboat Springs, the Crush scored all their runs against the East County Rattlers in one inning, and nothing felt finer than walking away with a 7-5 victory. 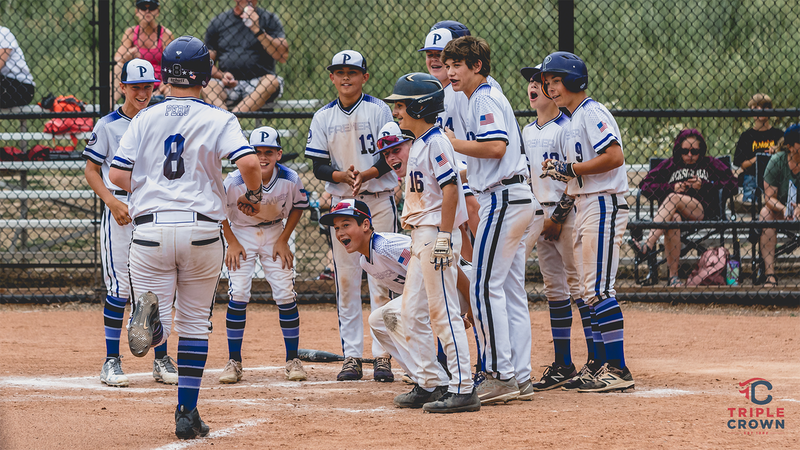 The Crush are the highest-seeded team from pool play left in the loser's bracket, and they will face the Omaha Pacesetters at 9 a.m. Saturday at Howelsen Hill. 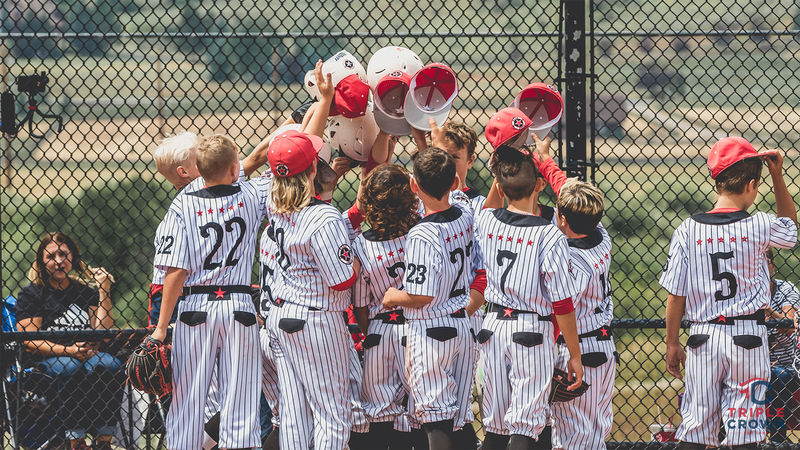 After the Rattlers jumped ahead 1-0, the Crush brought home seven runs in the bottom of the second and did a nice job of simply outlasting their opposition, turning two double plays and riding some stellar pitching. Other than a bumpy third inning when the Rattlers scored three times, Crush starter Clayton O'Larey was in control, and Dylan Strom pitched a perfect seventh for the save. "I love the effort level of the players. They were loose the whole time -- Clayton does a great job rolling ground balls, and the defense played great behind them," said Crush head coach Kevin Bolt. "That's what is going to win these ball games out here. We have to come out and win three tomorrow to make it to Sunday; it will be a tough task, but you have to do it one pitch at a time. We've got plenty of guys who can throw the ball and get guys out, so it will depend on the defense and how we swing it in tough situations." 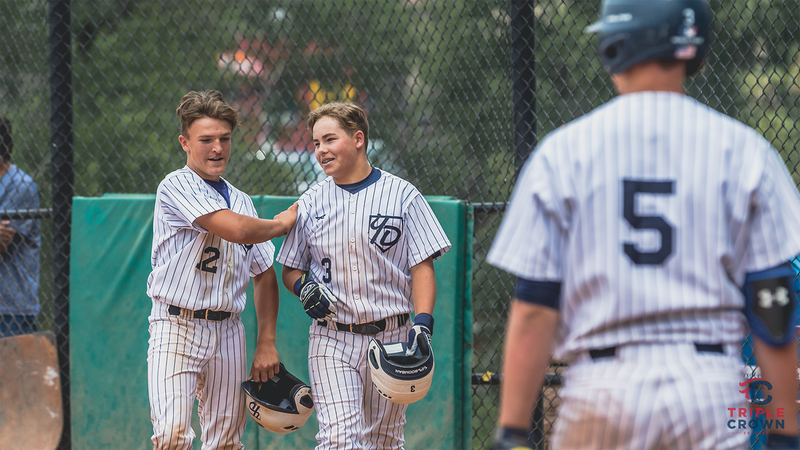 In the big second inning, Jacob Mason doubled and Isaiah Carlson walked; Jacob Hayes couldn't get a bunt down, but he responded with a two-strike single that brought in a run. O'Larey moved the runs over and reached first base, and Cade Slayton drove in a run with a single. Strom then came up and absolutely pummeled a pitch way over the left-center fence to close the scoring. In the sixth, the Rattlers got leadoff hitter Shane Bailey on via an error, and the next two runners reached to load the bases. But the Crush then turned a double play, which kept the damage to a minimum. "I was just trying to throw strikes and get ground balls. I wasn't feeling real comfortable on the mound (in the third inning), like I was slipping," O'Larey said. "But after that, I was good. We had to score those runs to get in the lead, and then go out in the field and shut them down." "I was just trying to swing the bat and make contact, hit the ball far," Strom said if his monster home run. "I know this is a good team that can make plays. Clayton did a nice job and got us a lot of ground balls." Jacob Jackson had two doubles, two runs and two RBI for the Rattlers. Luke West reached base three times and also drove in two runs.